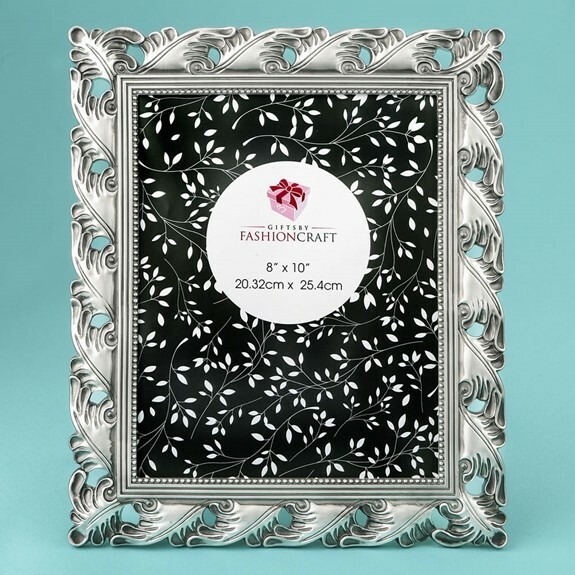 This beautiful oversized poly-resin frame holds a vertical 8x10 photo and is hand-painted with an antique silver finish. It features an intricate and timeless leaf design that will beautifully enhance any special photo. They will also add a stylish touch to an event venue when used as table number holders. Each comes packaged in a white box.